As you know, we at the CCPS have a thing for low-fi garage rock. 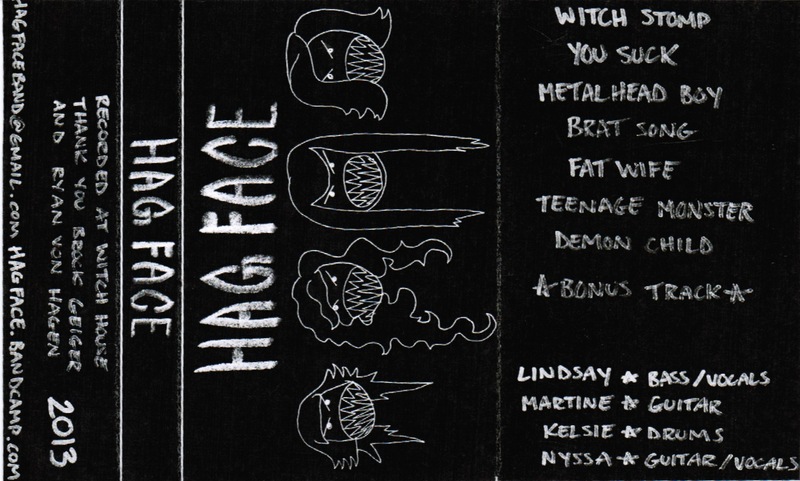 So we're really enjoying this tape - it's sludgy and fun, and doesn't take itself too seriously. Plus, former members of the Myelin Sheaths and Bash Brothers... both of whom, we've just had the intern point out, were not Calgary band. Thankfully, it's the intern's last day with us. 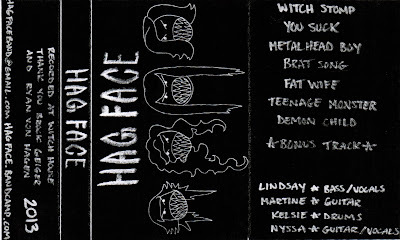 And you can grab this from the Hag Face bandcamp.